We have a wealth of experience and expertise to help you make your dream home a reality. The Little Pig Building Company can also act as consultants on your home, working with your architect and contractors to make sure everything goes smoothly. We also have a pre-purchase building inspection service. We Design, build or renovate, specialise in straw bale construction and operate in the Nelson-Tasman region. Contact Little Pig Building Co. The Little Pig Building Co has been building environmentally friendly homes and business premises since 1992. We have a wealth of experience and expertise to help you make your dream home a reality. 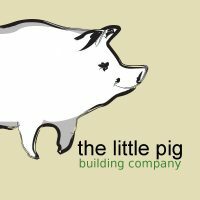 The Little Pig Building Company can also act as consultants on your home, working with your architect and contractors to make sure everything goes smoothly. We Design, build or renovate; Specialise in straw bale construction.